"How can I make a PDF smaller? Compress Zip?" "Is there an easy way to reduce a PDF size?" You might get some bulky PDF files so that want to find ways to make PDF smaller. The good news is that there are easy solutions to this problem. Making PDF files smaller does not require a difficult and expensive solution. The answer is compression. Here are 6 ways on how to make a PDF smaller on Mac OS X (Mojave) and Windows (Windows 10). If you are a Mac user and you have problems, converting PDF files to best suit your system, all you need is a PDF editor application like PDFelement ProPDFelement Pro Not only does it compress PDF files directly, but also you can convert PDF files to Word Doc format to make PDF smaller, and delete unnecessary images, text, watermark and even pages to make PDF smaller on Mac (macOS 10.14 Mojave). Step 1: Open PDF with this PDF compressor. To do this, click the "Open File" button to load your PDF file to the program from local computer. 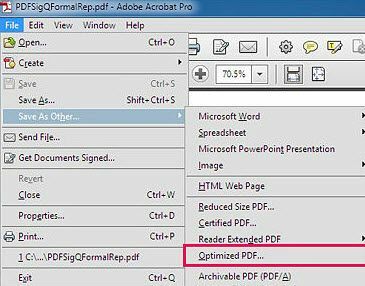 Step 2: Go to the top "File" menu and then select "Optimize PDF" from the submenu. Step 3: Check the options of compression settings and click "Save as" to compress PDF. You edit, add, modify and delete texts, graphics and images in PDF format with ease. Easily convert your PDF files to Word, Excel, EPUB, Images and more formats. Annotate and mark all the screen content with its variety of annotation tools. Fill out your existing PDF forms, create PDF form and extract data from PDF forms easily. Advanced OCR feature allows you to edit and convert scanned PDF and extract data from scanned PDF. Another method is to convert PDF to other format like Word, images and others to reduce the file size. 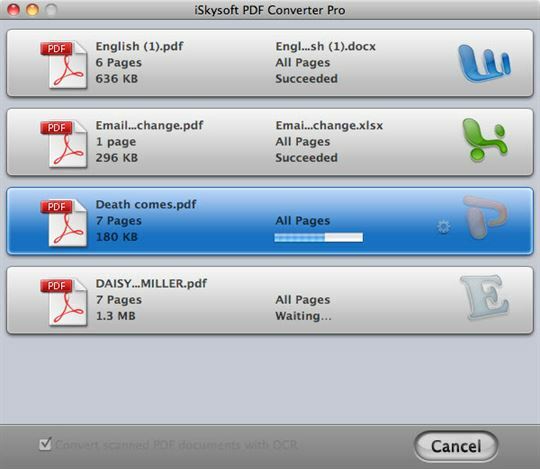 Here you can use iSkysoft PDF Converter Pro for Mac (or iSkysoft PDF Converter for Windows). It can help you to process PDF conversion in an easy way. And batch convert PDF is supported. After the conversion, your files will come with 100% original formatting. Step 1: Import PDF files by dragging and dropping them to the PDF converter. Step 2: Choose the output format and click "Convert" to start the conversion. Almost all computer users these days are familiar with Zip files. When you zip your files it's like putting all of them in a bag. In the case of PDF files you can shrink PDF file sizes and make them a bit lighter and easier to carry around in your memory space. By zipping files, you can only reduce a bit of the PDF file size but it is indeed an easy way to make PDF smaller. If you cannot zip the files in your computer, you can always reduce PDF file size using web tool. 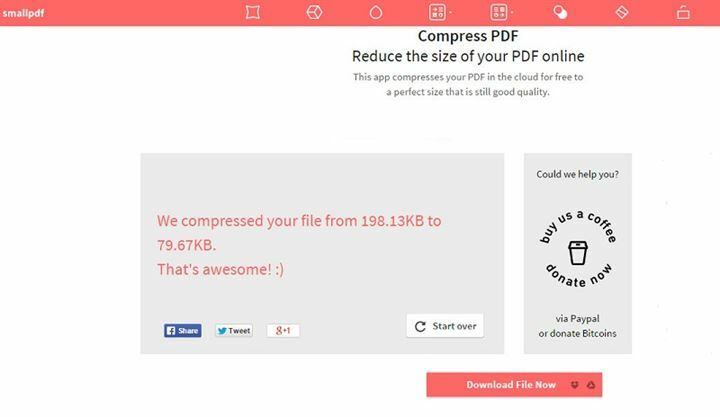 There are web PDF compressors for making PDF files smaller. There is no need to install specific software and all you need to do is to use the online tool. 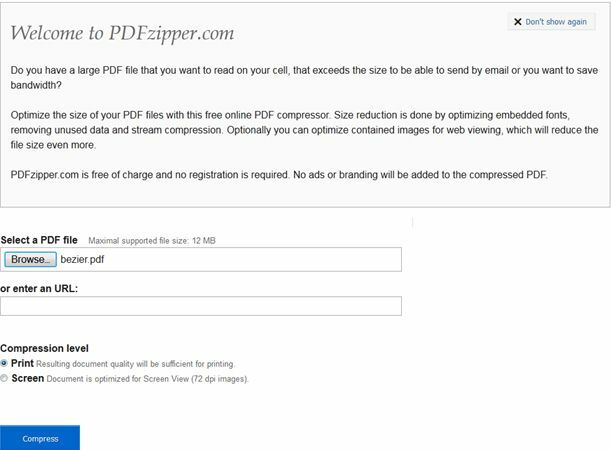 Here you can try the PDF compressor smallpdf.com. It is no file size limitation and no watermark. Just drag and drop your PDF file and then make PDF smaller. 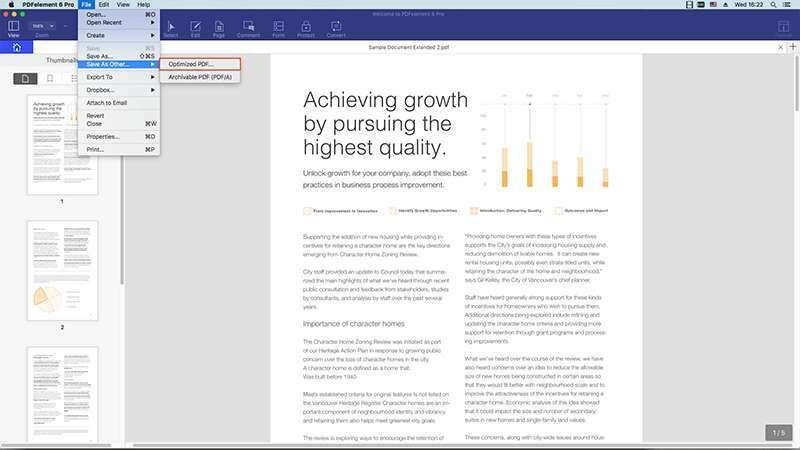 Just like Mac OS users, Windows users also have some problems making PDF files smaller. However, here is a very easy solution. There is software out there that work well with any Windows operating system. Such program can help get rid of replicate PDF objects. It also comes with newer compression features compatible with new specifications for PDF. This helps decrease PDF file size. This step is useful if you are already using Acrobat. With the Acrobat software you can immediately launch it. Open your file through the program. After opening it you can then click "File" > "Save As Other" found on the main menu. And then choose "Reduce file size" or "Optimized PDF" in the drop-down menu to compress PDF. These are some of the best ways on how to make a PDF file smaller. You can try any of them to make PDF smaller and open PDF files in Mac or Windows operating system without any problem. By making your files smaller you are saving a lot of drive space and you don't need to worry when browsing your files.